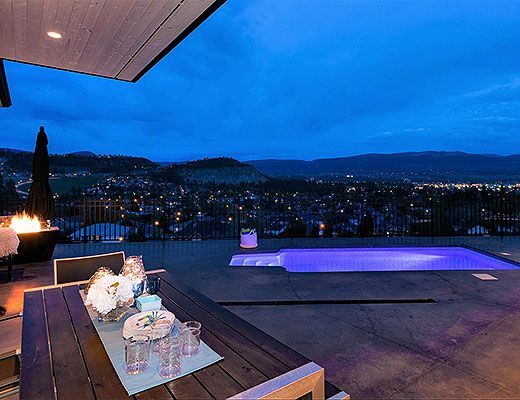 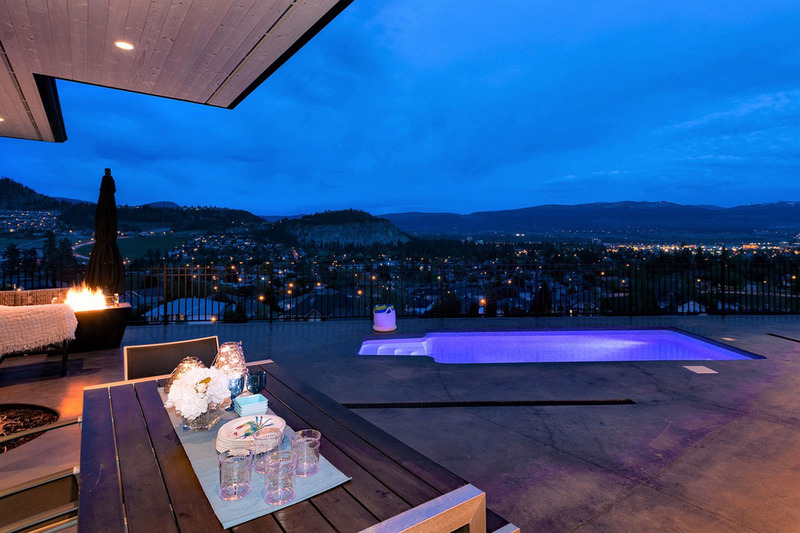 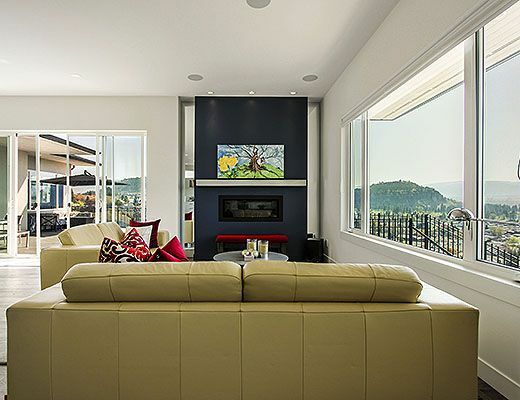 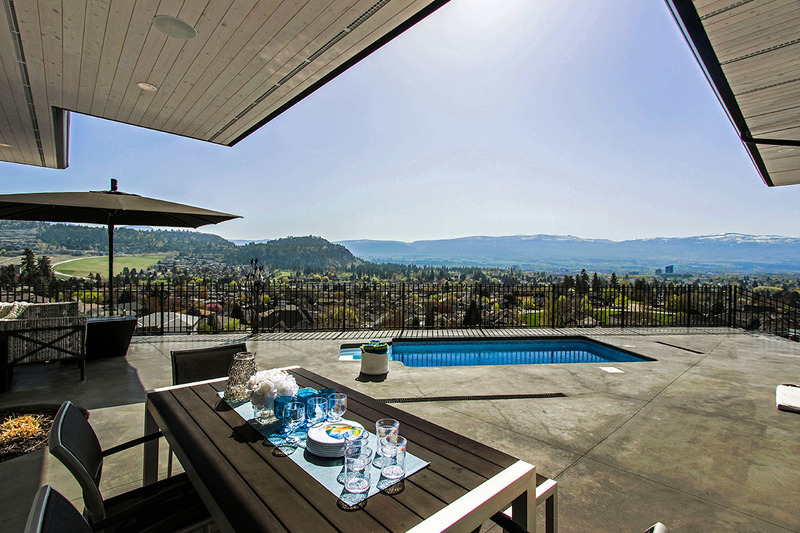 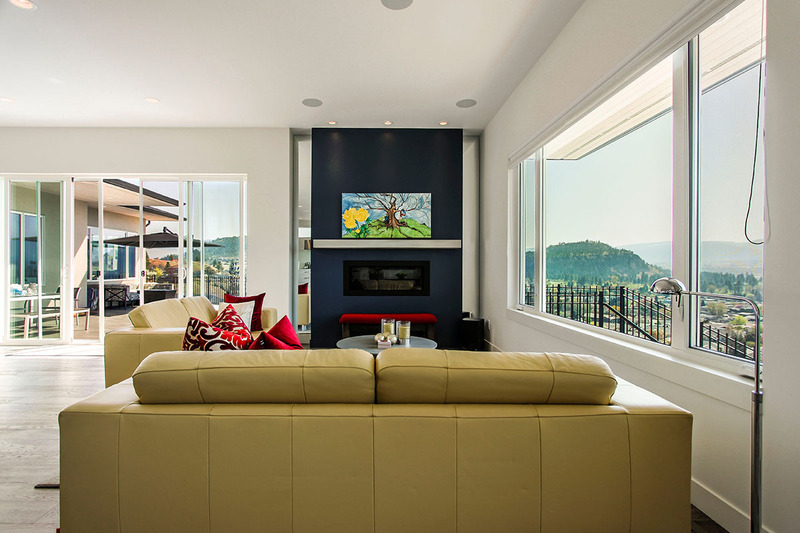 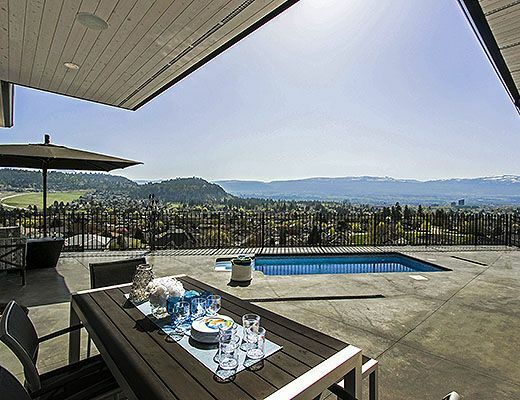 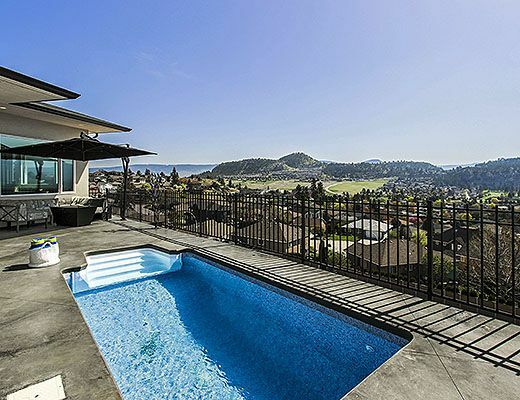 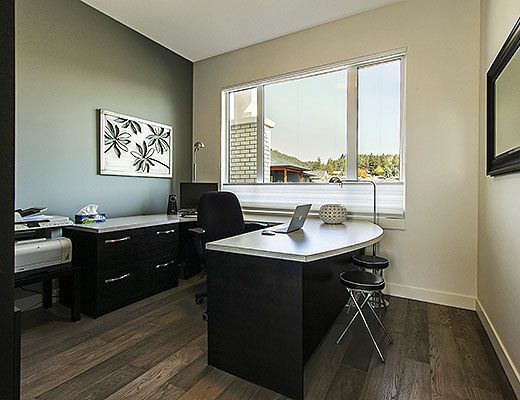 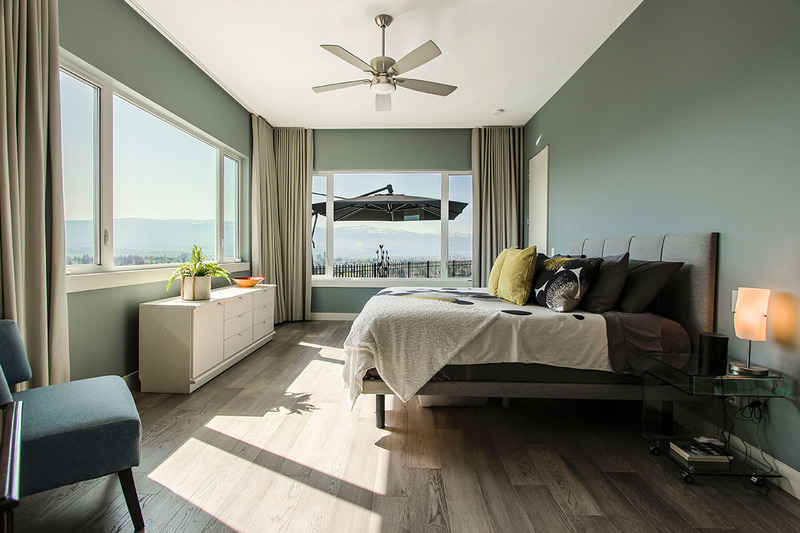 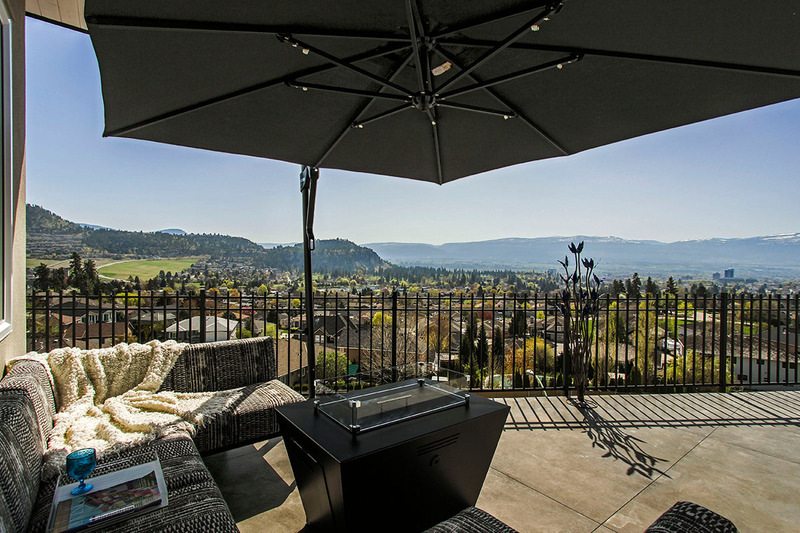 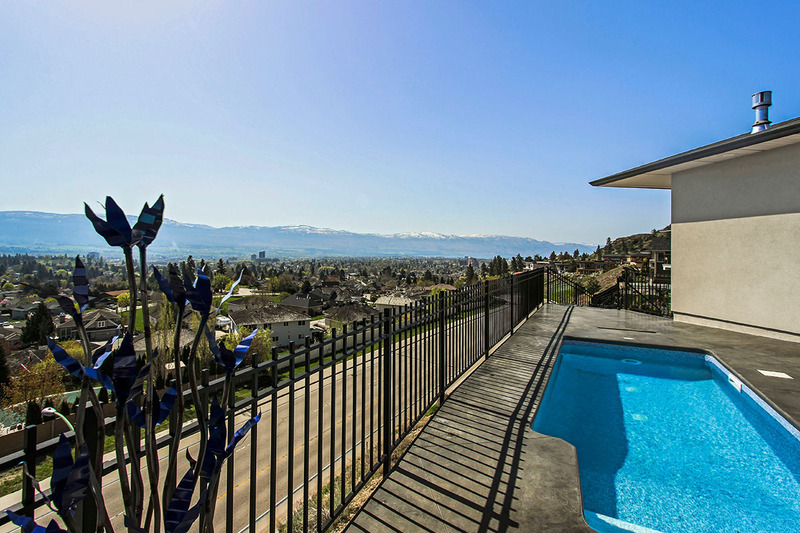 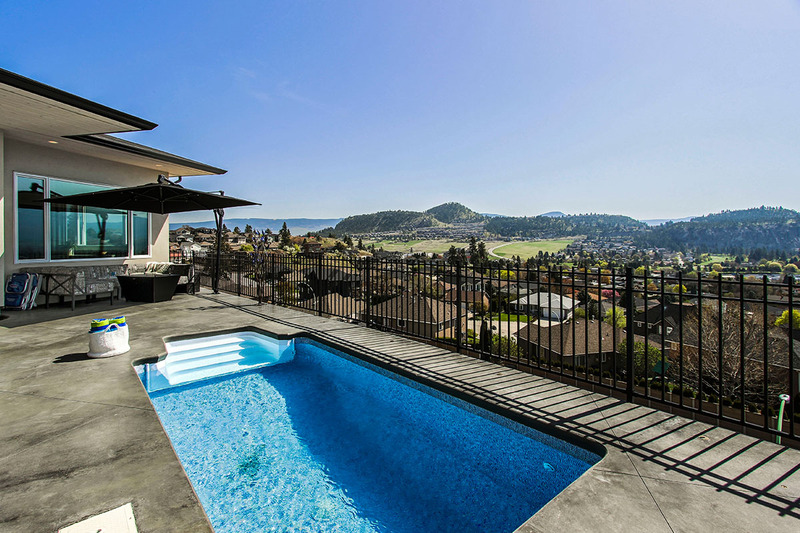 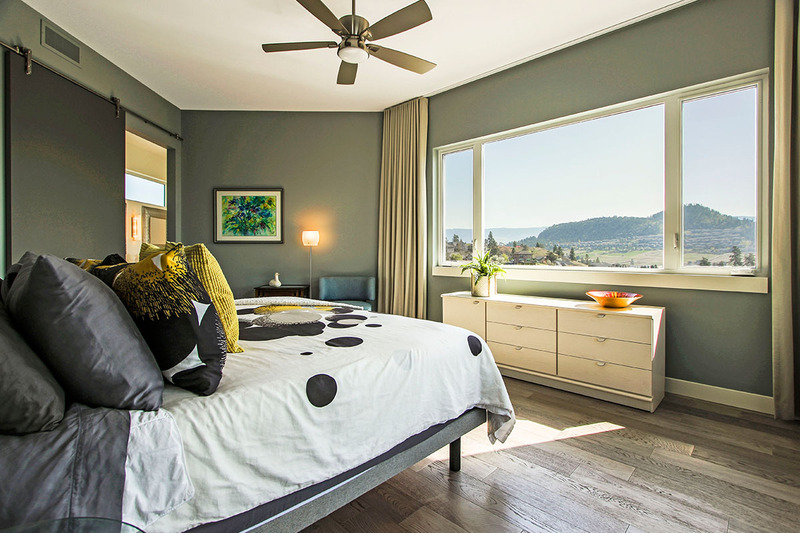 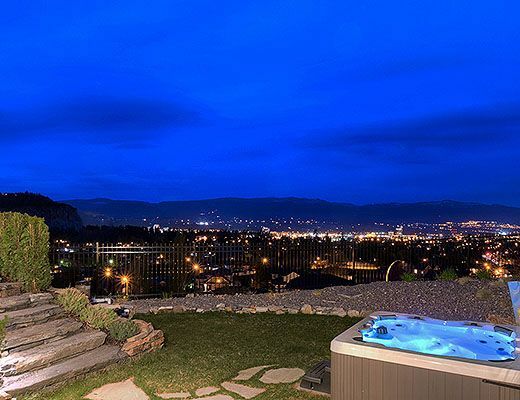 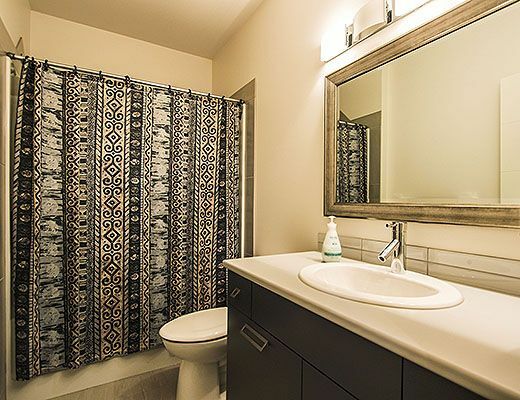 Located at the edge of downtown Kelowna this home’s unobstructed views over the city and out to Okanagan Lake is sure to impress. 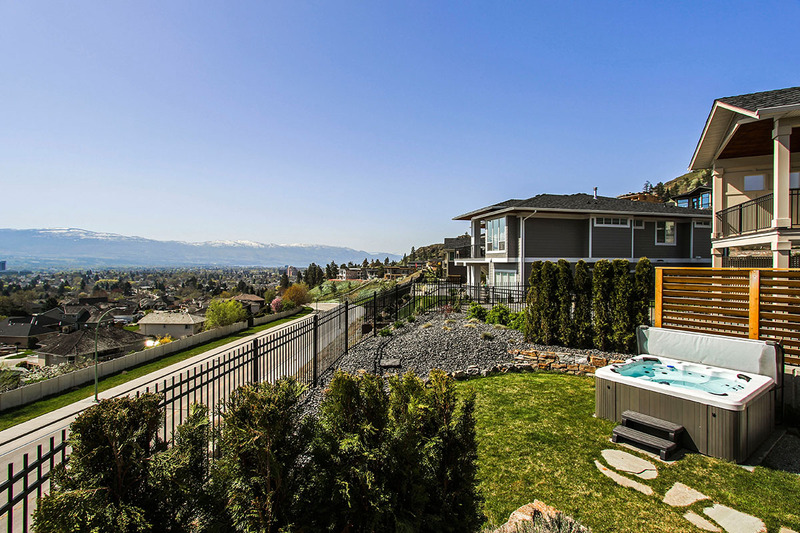 Offering guests a stunning summer retreat with custom living space this 4 bedroom home has unique features you won’t find anywhere else. 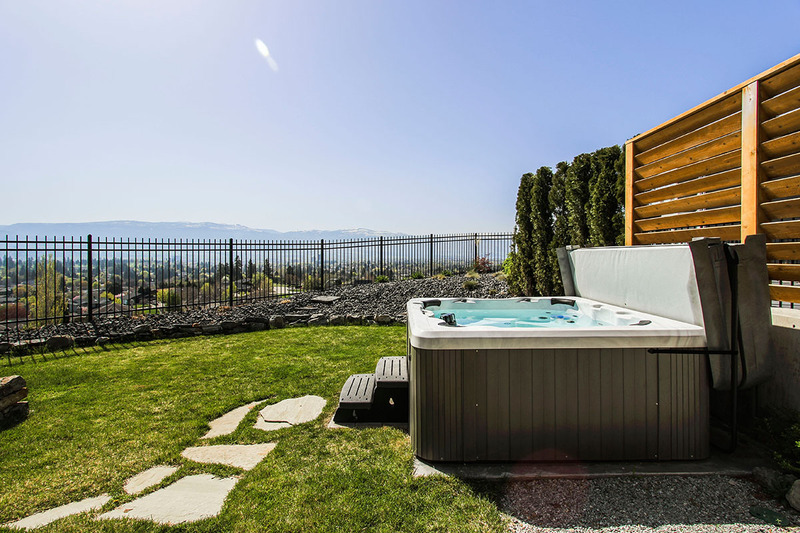 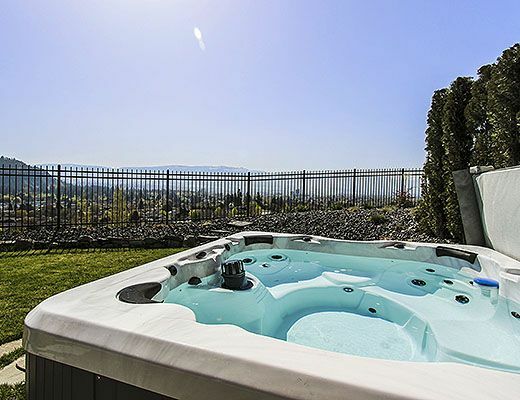 Lounge outside while enjoying the sunrise or cool off in the dipping pool on the oh-so-comfortable floaties during the hot Okanagan summer days. 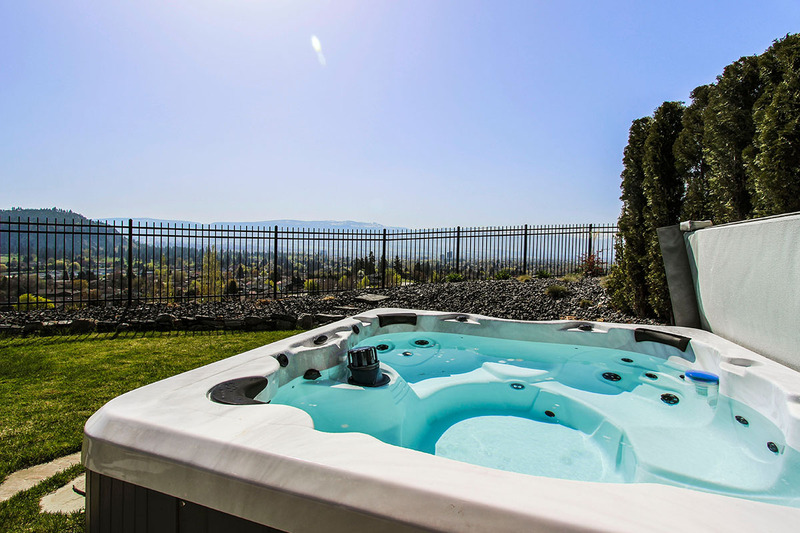 The pool fountains encourage those zen moments or if you’re into fitness, try out the pool’s swim-pro for your workout. 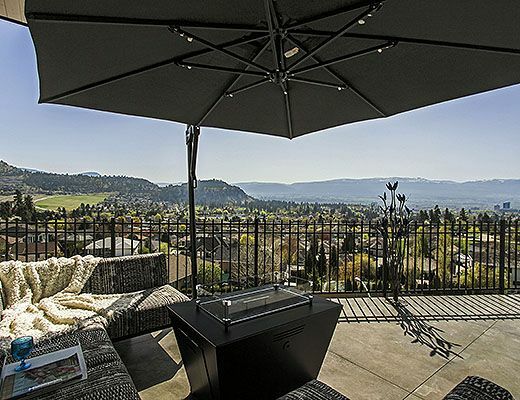 There is comfortable outdoor dining for 6-8 people and a cozy fire table for evening. 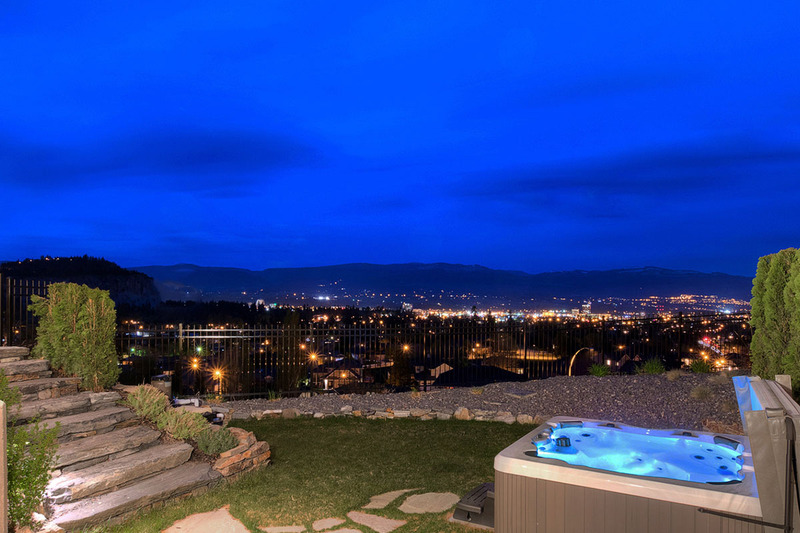 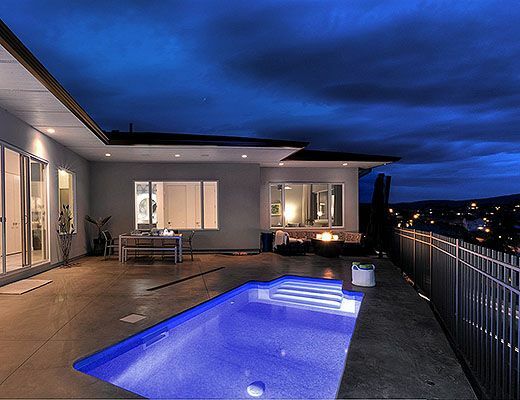 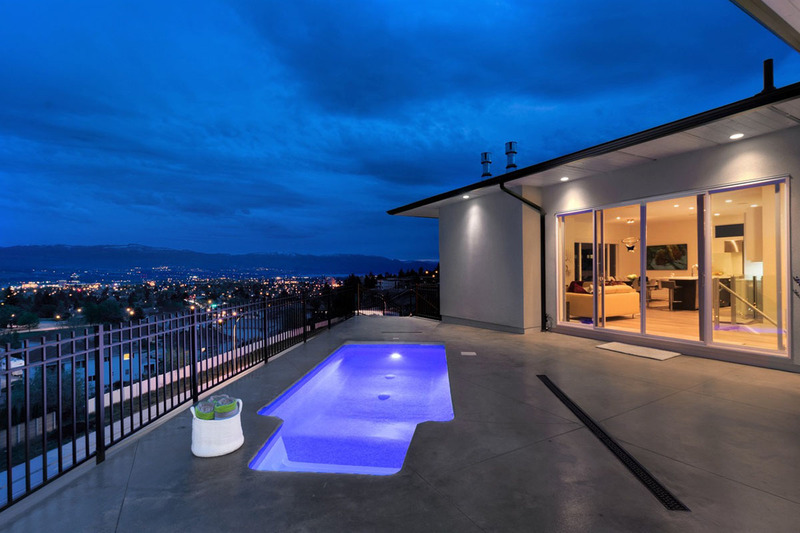 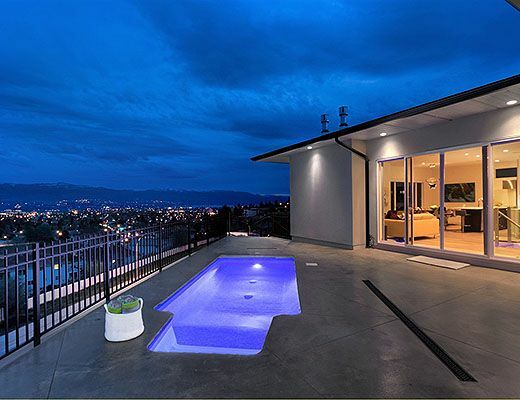 There are also spectacular views from a full size hot tub. 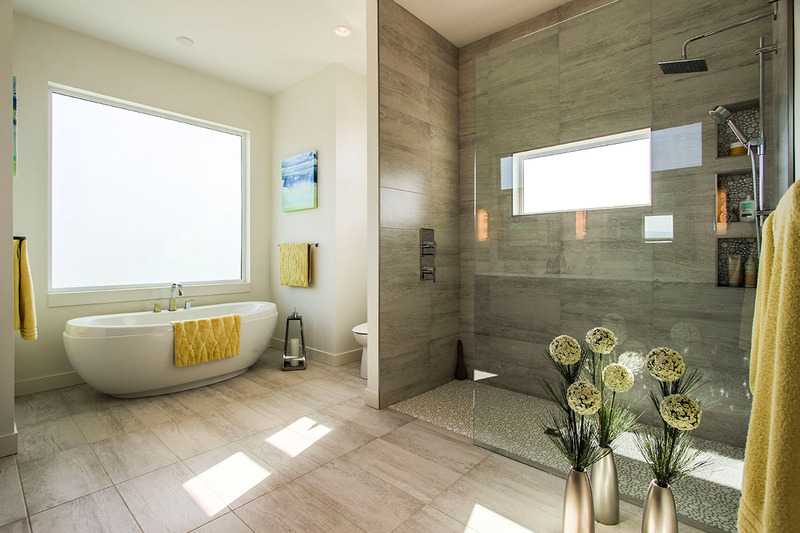 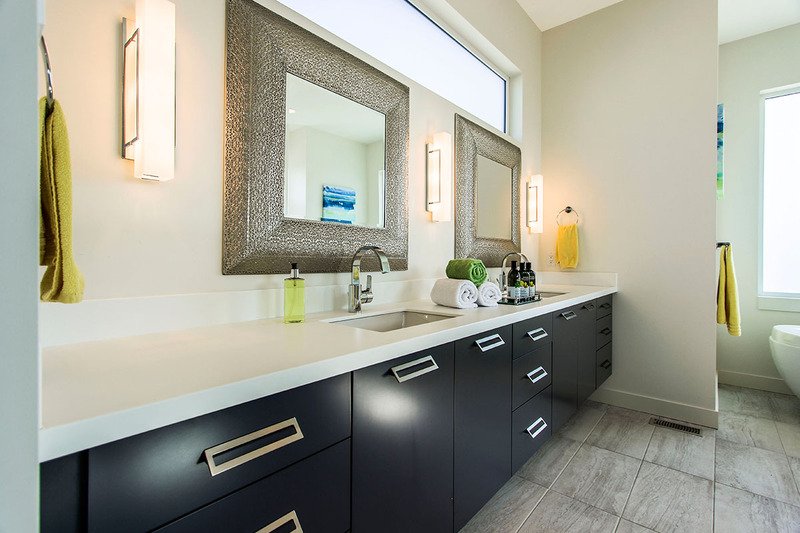 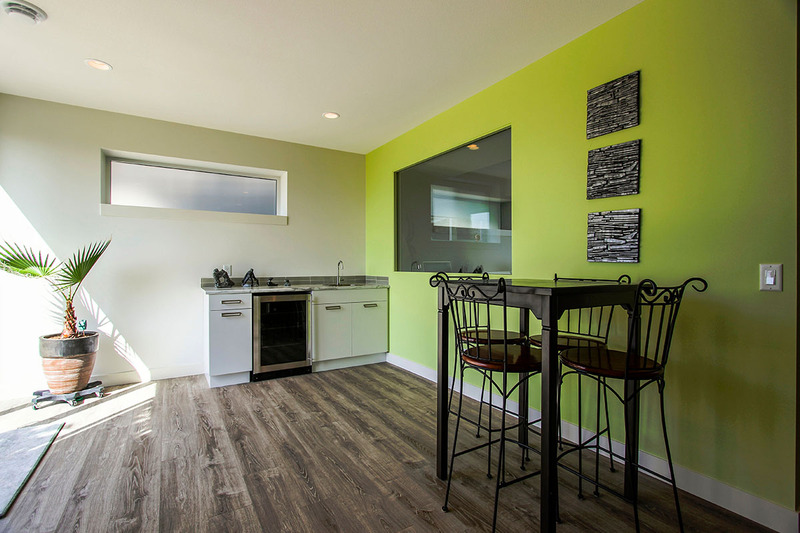 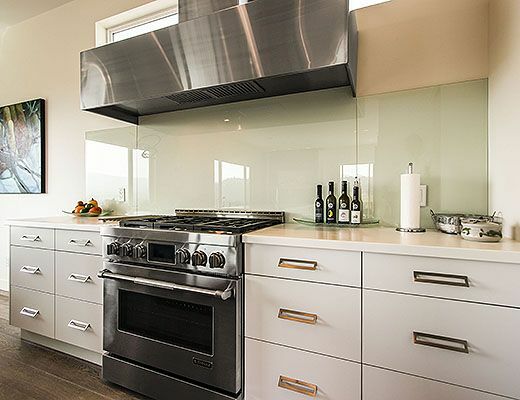 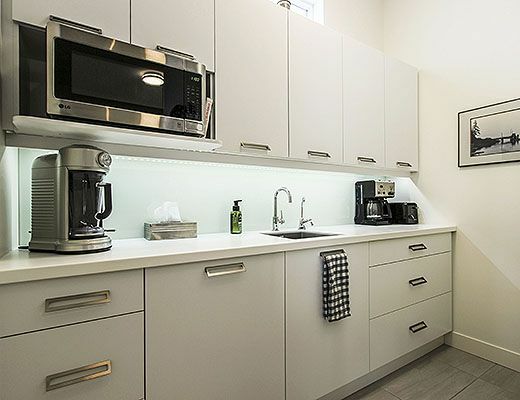 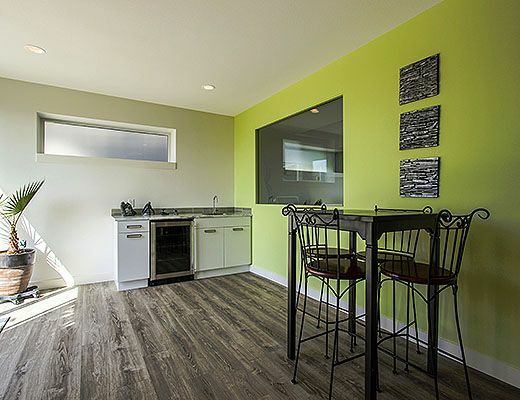 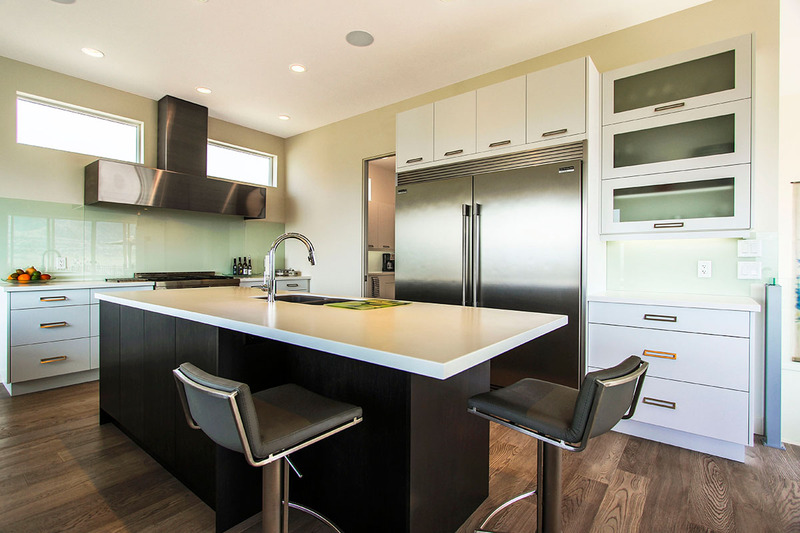 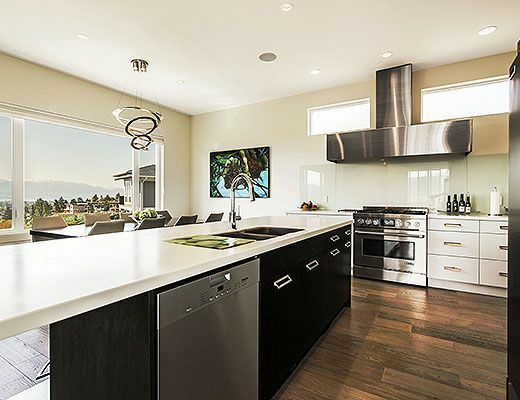 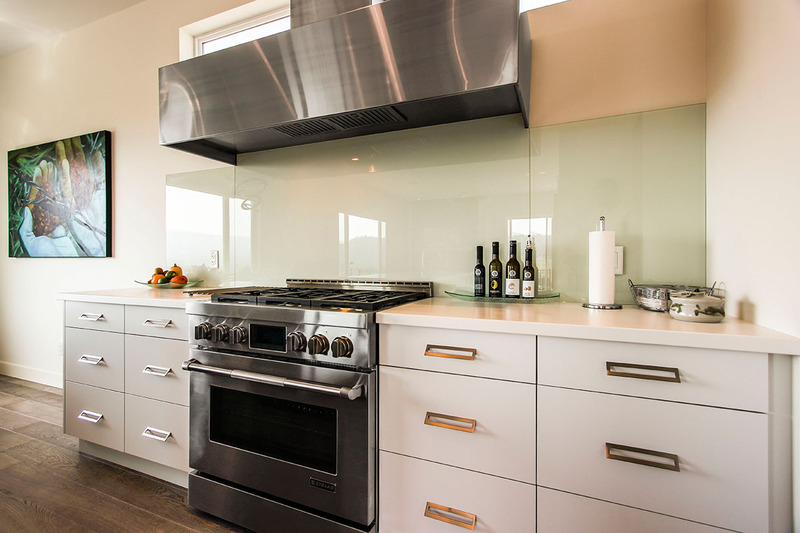 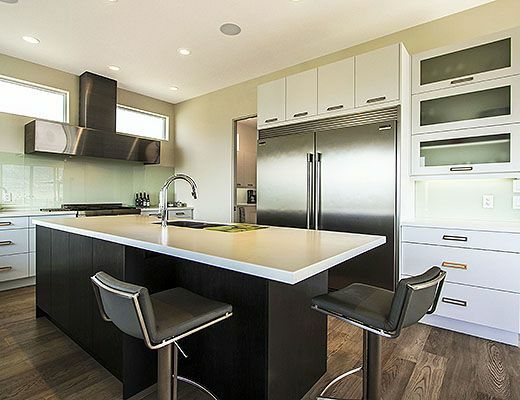 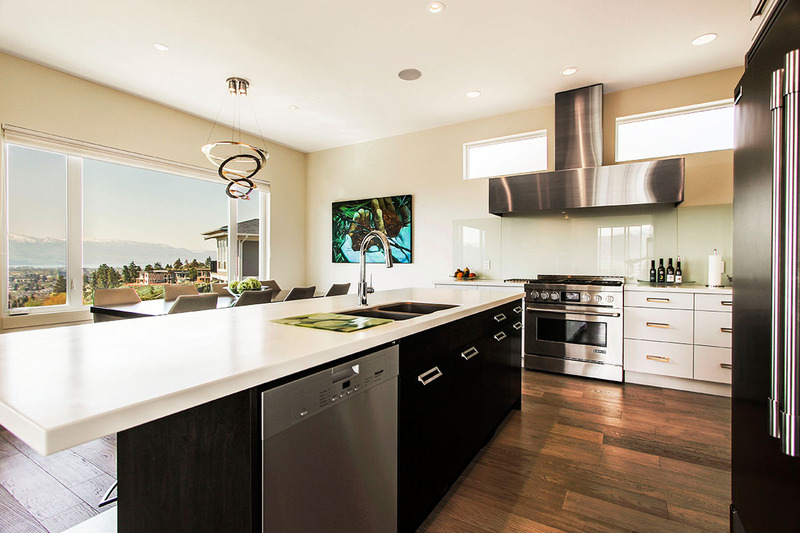 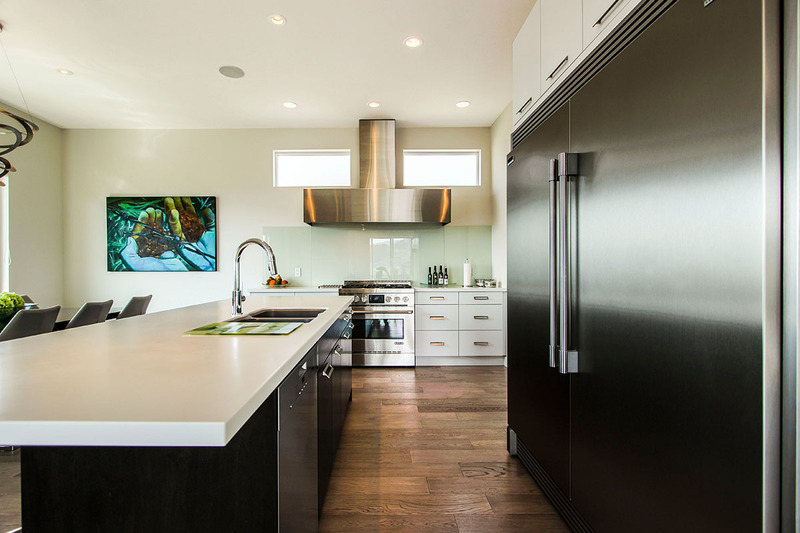 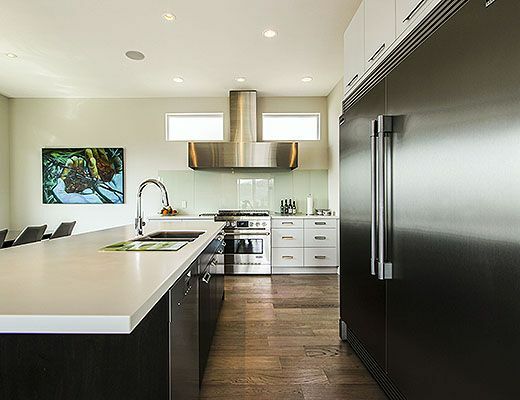 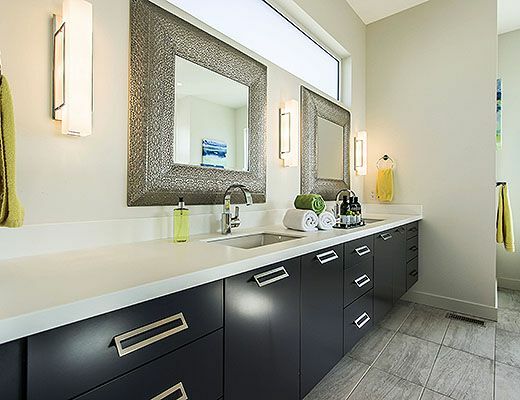 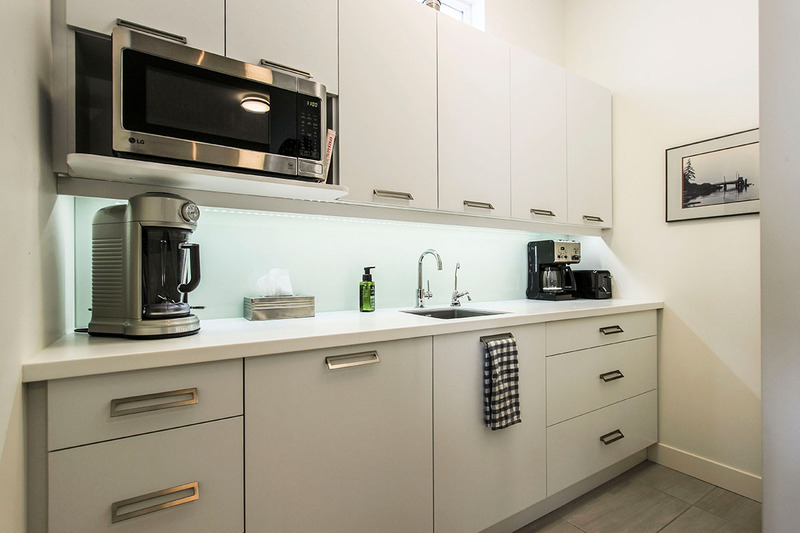 The main floor offers a bright and comfortable living area, dining table for 8 and a sleek, modern kitchen with stainless steel appliances, butlers pantry, second sink, gas range, island seating, and a large laundry room. 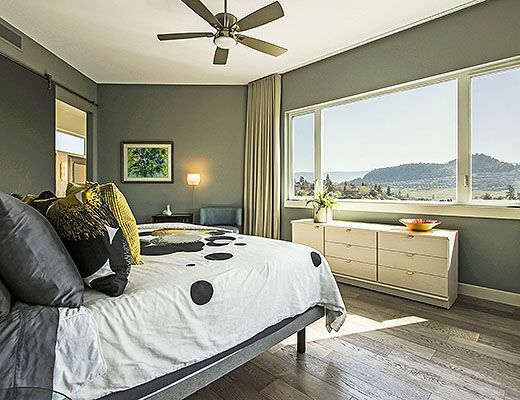 The main floor master bedroom is furnished with a luxury king size bed and offers a large private en-suite with dual vanity, glass shower, unique with a view over Dilworth Mountain, as well a soaker tub. 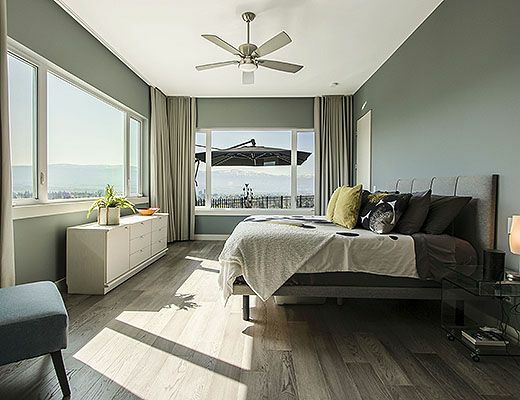 Lie in bed and watch the sun come up-it really doesn’t get much better. 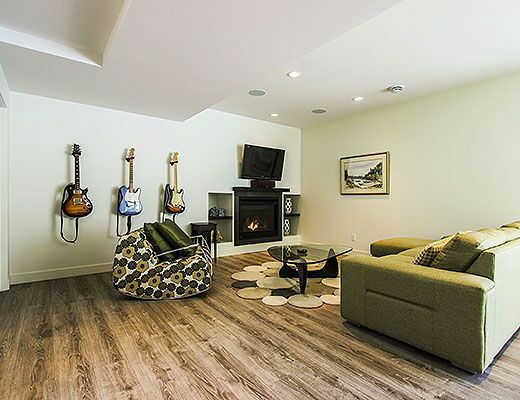 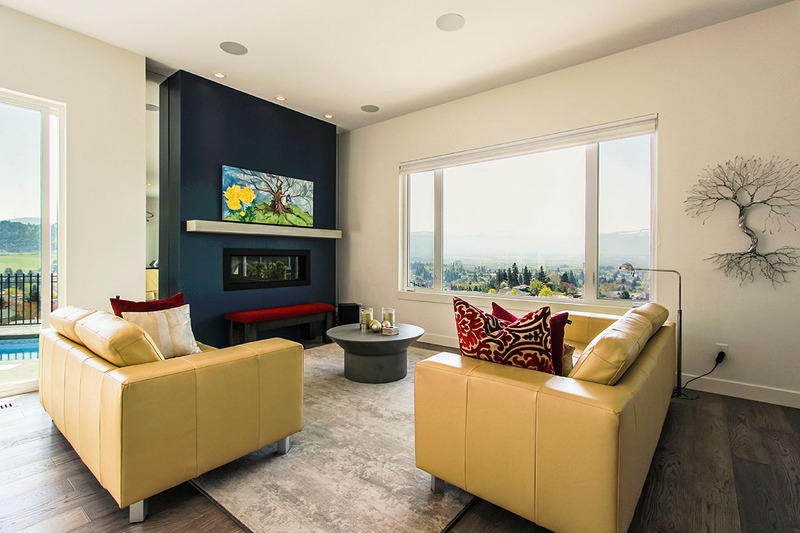 On one side of the lower level is an additional living area with comfortable seating around a wall mounted TV, gas fireplace, and a wet bar for added convenience. 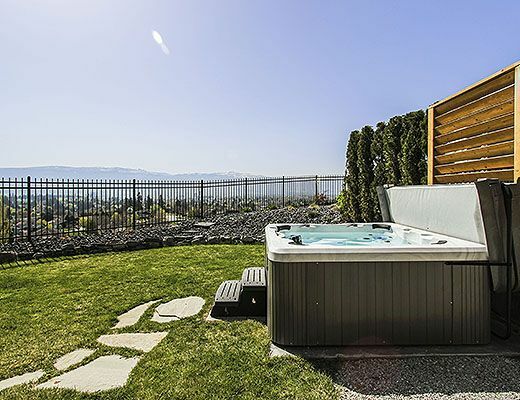 Here is also where you’ll find walkout access to the hot tub and back yard. 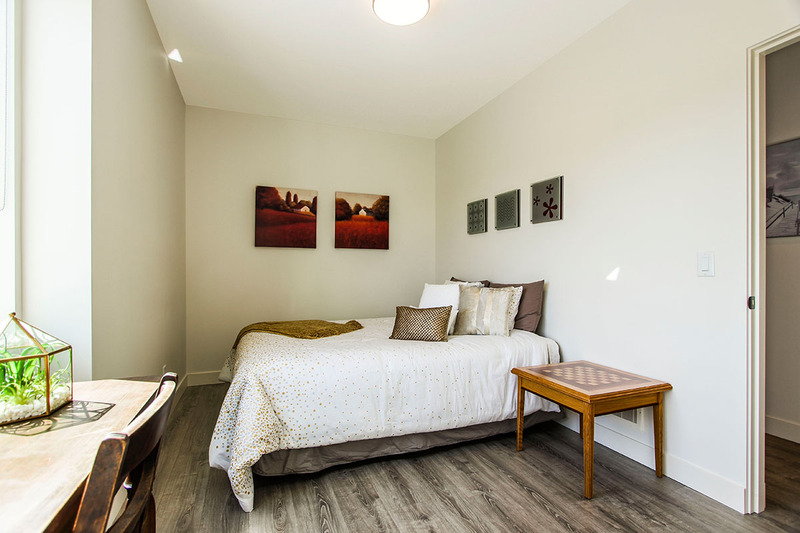 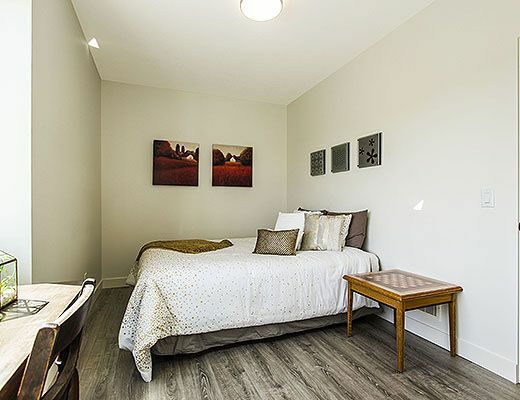 The remaining 3 bedrooms offer a Queen, Queen and Double sized beds. 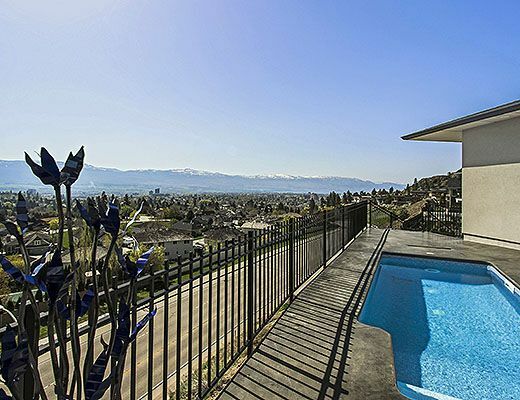 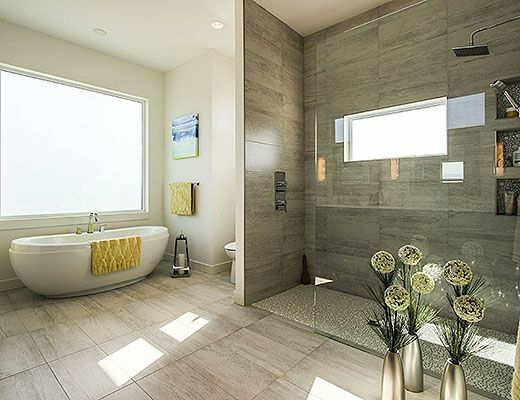 This one-of-a-kind home has been compared to ultra private Penthouse living at it’s finest with unobstructed views from all rooms (except 2 interior baths). 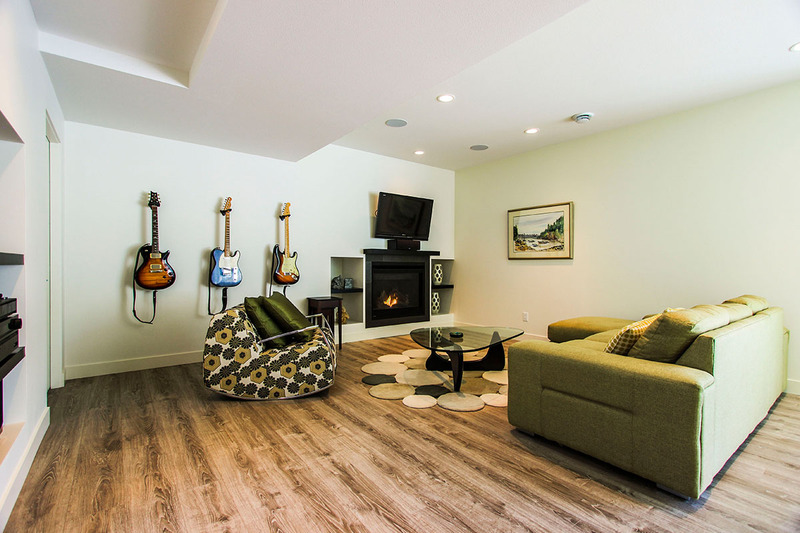 The floor plan is such that all living is on one side of the home and all sleeping is on another affording quiet when you want it. 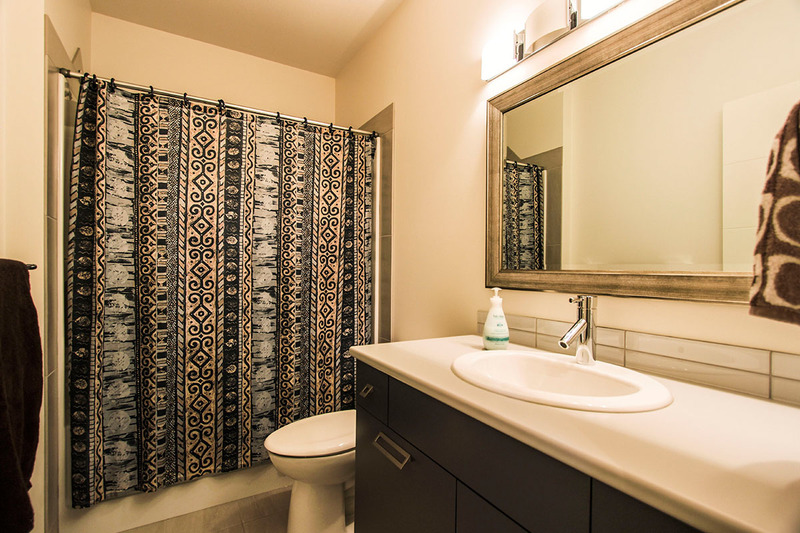 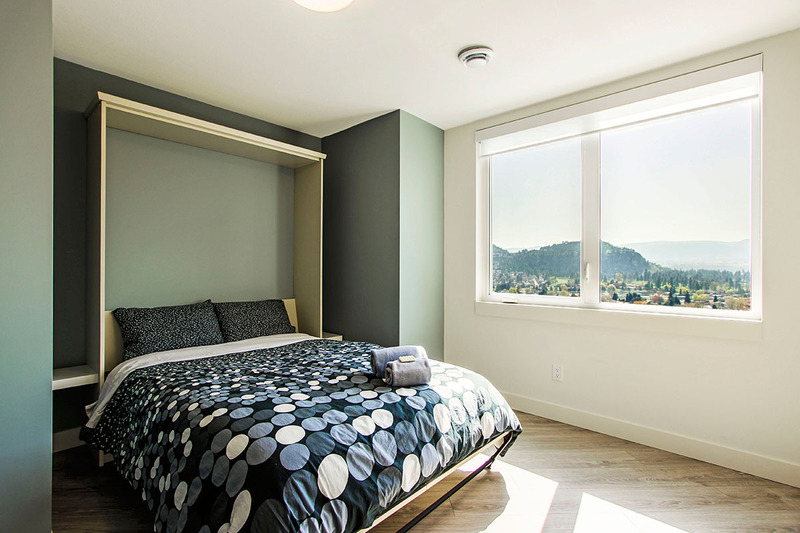 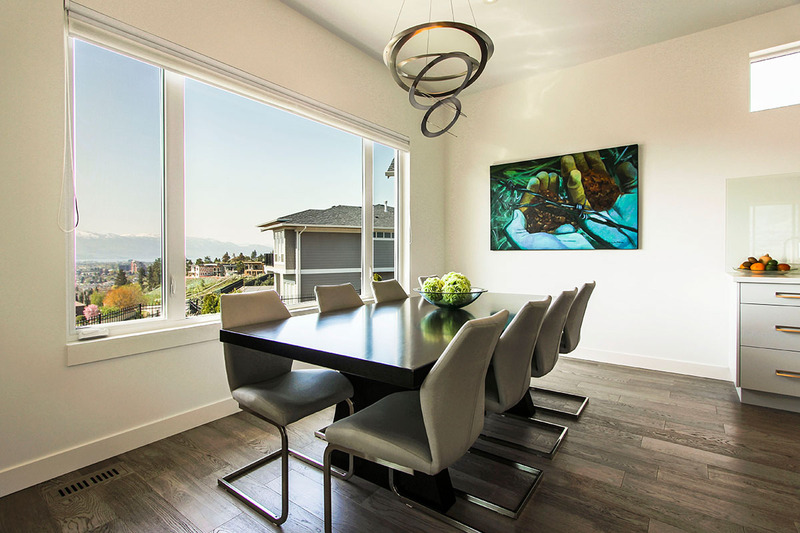 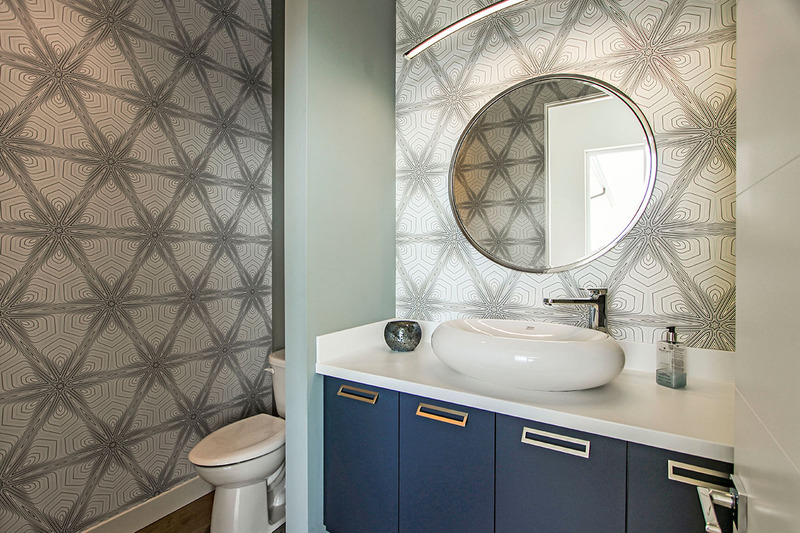 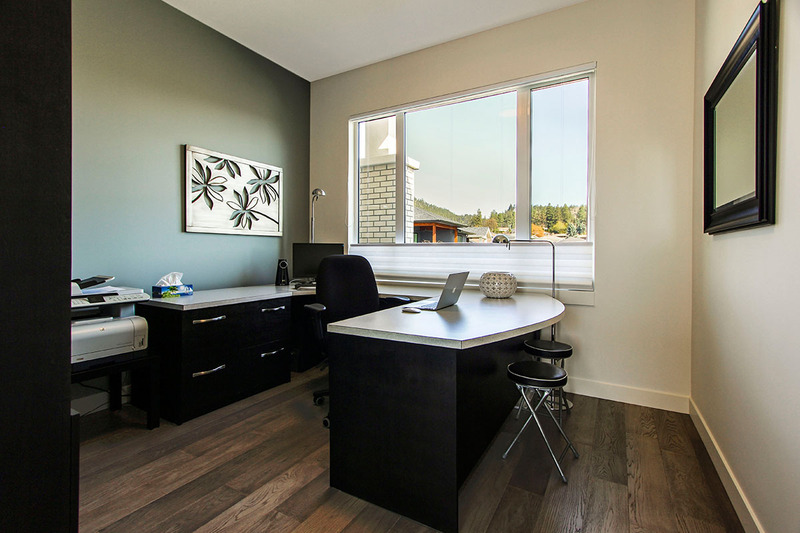 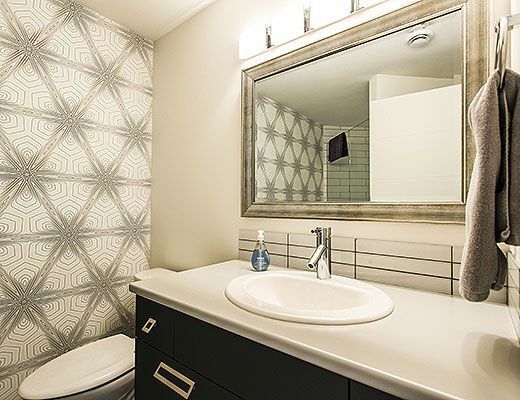 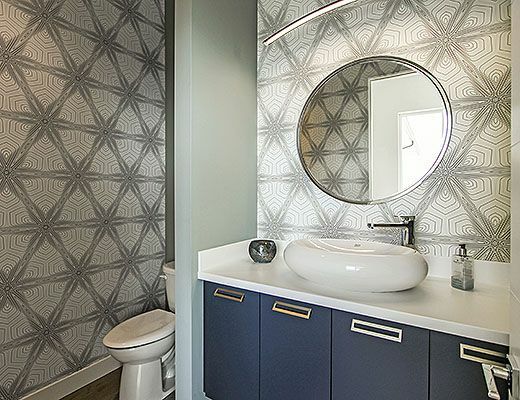 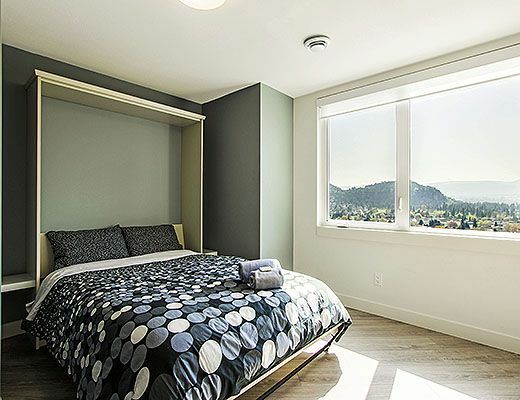 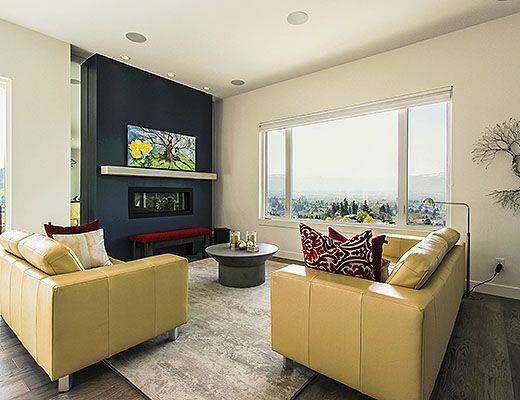 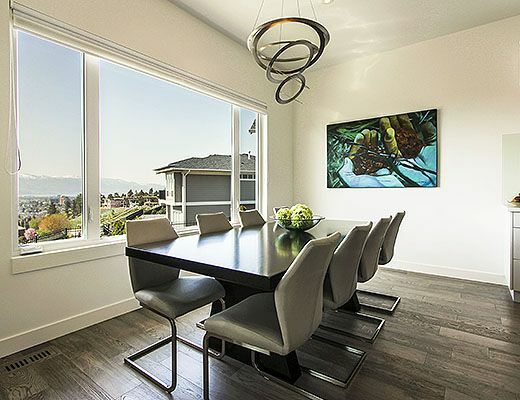 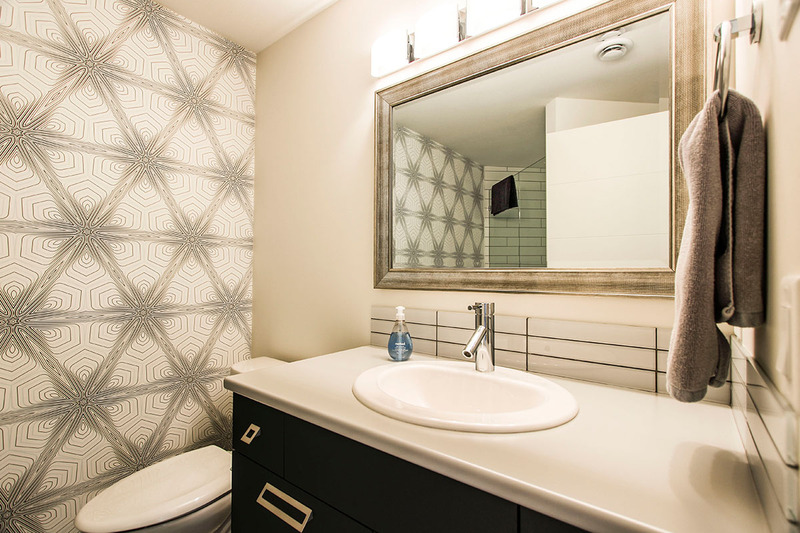 If you family is looking for the best this summer, "Life On Top", combines a convenient location minutes to downtown with luxury amenities, making it a preferred choice.